$125 includes shipping in U.S.
We are experiencing a wet Spring here in this little corner of Texas and it's keeping me inside to paint. 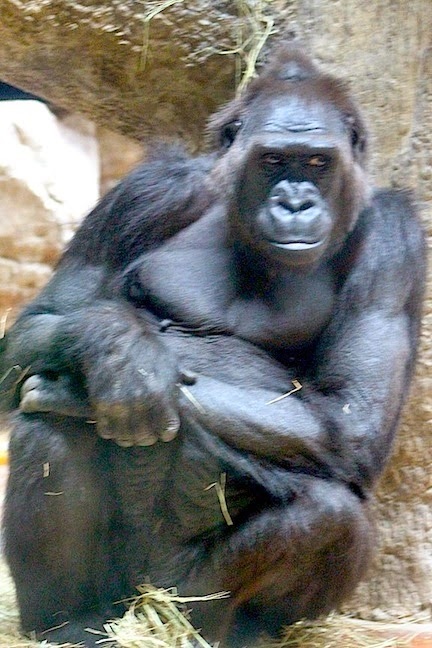 I am, however, a little tired of cows at the moment, so I searched my photo files and found this charming gorilla image that I took at the zoo recently. My grandchildren visited over Spring Break and we took advantage of one day without rain to visit the zoo - it was wonderful and kept both girls entranced and enthused for 4 hours. I could have spent the whole day there, and I vowed to come back on a warmer day, and slowly take it all in by myself. 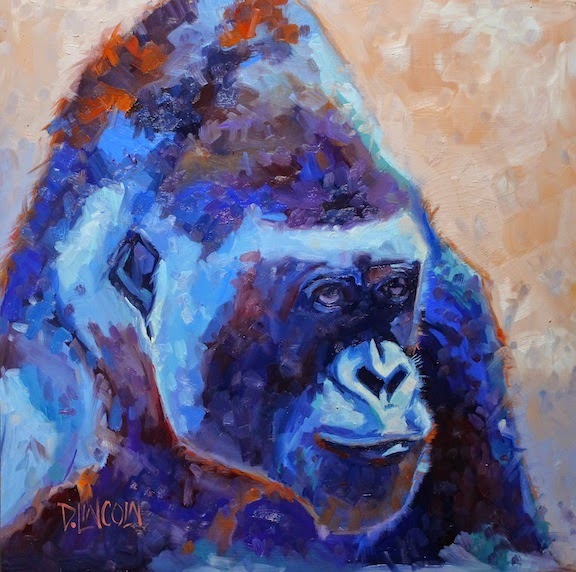 I love exploring the opportunity to paint other animals, and the zoo provided ample opportunity to acquire hundreds of images - like this gorilla lady. She was evidently not impressed by my effort to get her attention however! Luke 6:41 “Why do you look at the speck of sawdust in your brother’s eye and pay no attention to the plank in your own eye?"